Creating a monthly budget really has to be one of the most useful things that you can do. Essentially, you need to really understand how much you earn, from where and when and where it all goes to! If you are careful and honest about your tracking of spending habits, it will be very revealing I’m sure! Once you have created a monthly budget template, it will probably offer some useful insights into squeezing more from your monthly income. You’ll also be aware of all of your monthly expenses that you may have forgotten about. The first step to basic budget planning and debt management budgeting is to calculate your income. Personally, I would calculate this as a monthly figure, but you may prefer weekly, I shall leave that up to you. How many sources of income do you have? Perhaps you have a regular salary, overtime payments or bonuses, maybe social security payments or a second job. What about your spouse? Does he or she work? How much does this partner bring in to the household finances? Try to be as accurate as you can here. It is very important that the numbers are compiled carefully. Accurate numbers will enable accurate decisions later on. If you receive a variable amount (perhaps you earn commission or tips) can you try to calculate an average? Do you have old payslips or bank statements that you can work from? Our goal here is simply to arrive at a number which you consider to be your usual monthly income. Total it all up. Obviously, use the net income figure since that is what you actually see in your pocket. Here comes the scary part! No matter how much you may earn, and how satisfied you may or may not be with that figure, we all wish that we were spending less. The monthly spending calculation is going to take either a bit of guess work or a lot of hard work. This is because some of your outgoings are small and cash based. 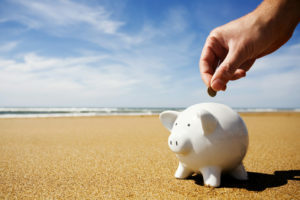 For example, your daily sandwiches at work, sweets for the kids, renting a video or DVD are all payments out that are potentially difficult to track. 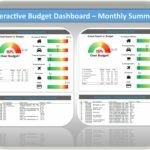 Try using our Excel Budget Planner Template to track your monthly budget expenses. 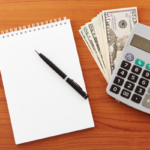 The expense calculator will help you identify all your expenses you may have otherwise missed. 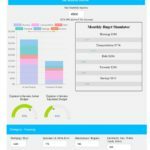 In addition to an expense calculator, we also have an in-depth monthly budget template. 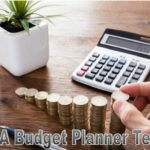 This monthly budget template has a lot more features that allow you to track all of your expense quickly and efficiently. However, the bulk of your spending will be on large, known and regular items. For example, your rent payments, household insurance and loan repayments would all fit into this category. Ideally, you will work out your income and expenditure over the course of two or four weeks. This way, you will be able to see how you are spending money and understand the pattern. 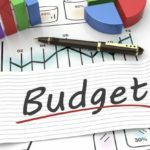 Accuracy in completing this debt management budgeting exercise will prove to be very valuable indeed. With this knowledge, you will be able to understand you finances completely. 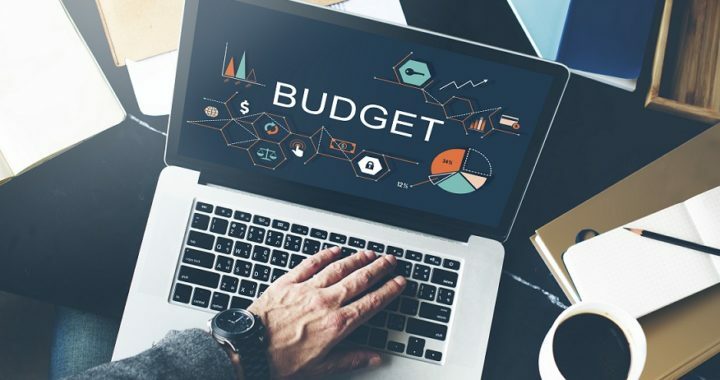 Why Should You Use A Monthly Budget Template? You may be reading this, thinking to yourself about the pathetic and basic things that I have started with. You might be right. However, I am constantly amazed at the number of people that have never actually tried to accurately calculate their monthly budget. For example, I have been writing this over two days (an afternoon and the following morning) and on the evening of the first day I met a friend that wanted to discuss finance with me. She is in her mid twenties, a bi-lingual expatriate who works for a major international bank and someone I look up to as being really quite bright. She wanted to talk about making some monthly savings. Yet, as we chatted she realized that she had no idea about her spending patterns and whether or not she actually has any disposable income. Who would have guessed it? So even if this is too basic for you, give it a go to humor me. 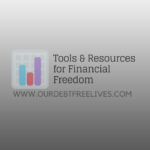 Now that you have completed this little debt management budgeting exercise, you will hopefully be able to see areas where your spending can be controlled a little. You will also be able to see whether your income is actually covering your outgoings each month. If it doesn’t, you need to make some drastic changes to your lifestyle to get back on track! 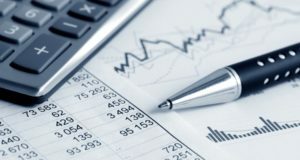 If your debt management budgeting exercise has shown that you are overspending each month, it is vital to make changes. Without changes, you will never be able to become solvent unless you win a lottery. That should worry you. Posted in Budgeting and tagged Budget.